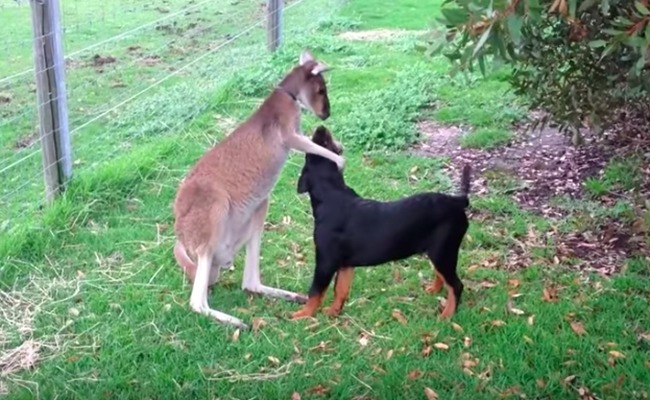 Blue the kangaroo shows some love to Trooper, his best dog friend. Kick back, and enjoy this sweetness! love it, so cute ! !